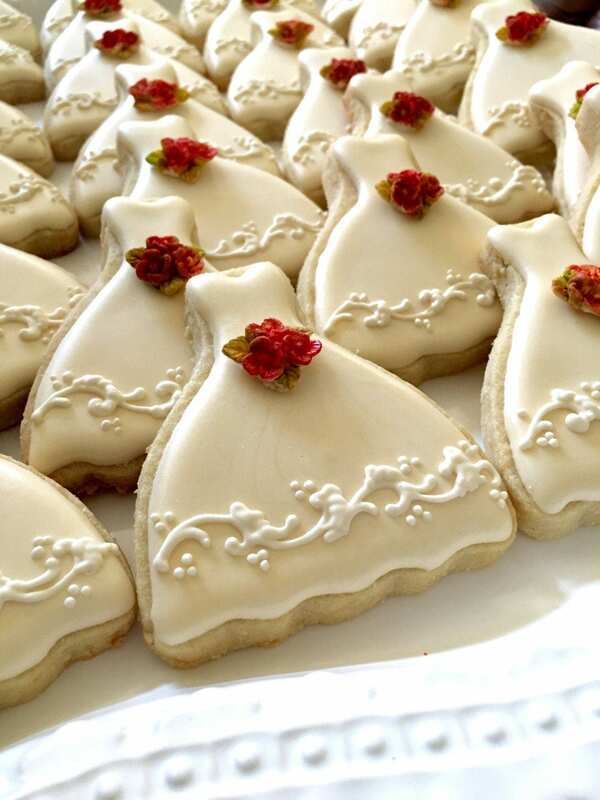 This listing is for 18 PIECES of this lovely petite gown cookies with a molded fondant flower bouquet accen and rossette piped icing details. The set will include 9 dresses with rosette icing detail on the skirt and 9 dresses with intricately detailed lace skirt and the fondant flower bouquet. Options include single or multi-color. Ribbons may be added for an additional charge of $6.00 per dozen.